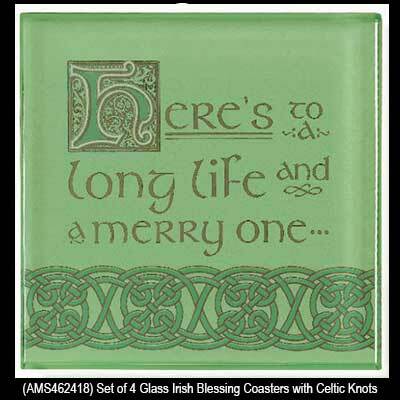 A different verse on each Irish coaster completes the entire Irish blessing! 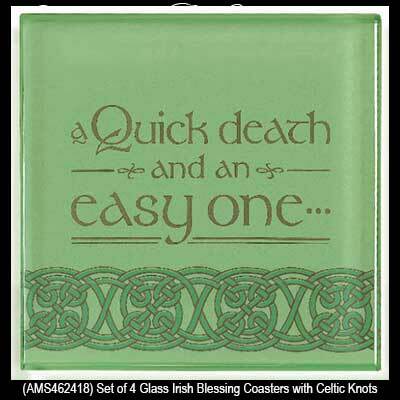 This set of 4 Irish coasters with Celtic knots would be a proud addition to any home or bar. 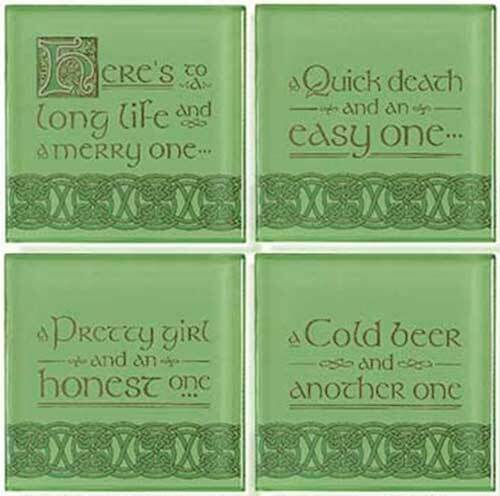 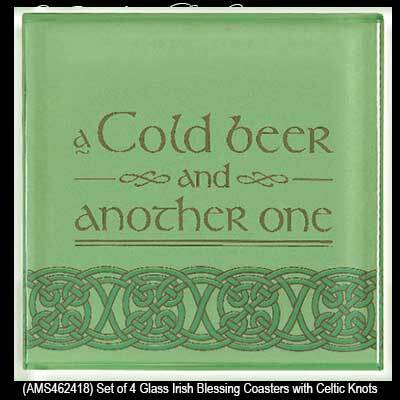 These heavy green glass coasters with padded feet together form an Irish toast with a verse on each coaster. 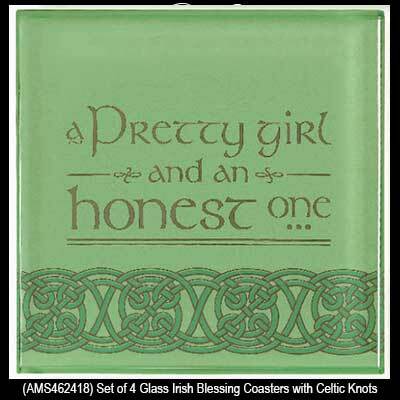 The coasters measure 3 1/2" x 3 1/2" x 1/4" thick and a Celtic knot history card, from The Irish Gift House, is included in the gift box.